Is blockchain replacing traditional capital raising and how are the South African and other governments reacting to the revolutionary technology underpinning ICOs? With the market cap of cryptocurrencies growing from around USD 15 billion in December 2016 to a staggering USD 815 billion in December 2017, it is not surprising that the subject found its way to many dinner table discussions during the 2017 festive season. The parabolic rise of cryptocurrencies has seen everyone from the ordinary consumer to Wall Street wanting a piece of the action and South Africans have not been immune to the charm of this emerging market. In a recent report by iNet Bridge, Gareth Grobler of registered trading platform ICE3X commented that an estimated 200,000 to 300,000 people in South Africa are involved in cryptocurrencies. While the launch of CME Bitcoin futures in December 2017 introduced the modicum of regulation required for institutional money to invest in Bitcoin futures, there is a growing number of over 1,000 cryptocurrencies available in today’s market, which is largely still an unregulated wild-wild west, where almost anything goes. A prominent feature of the cryptocurrency market is the ICO (Initial Coin Offering). ICOs are a (somewhat controversial) means of raising capital comparable to an IPO (Initial Public Offering) in traditional capital markets. However, instead of contributing fiat currency in exchange for shares in the underlying company as would typically happen in an IPO, the vast majority of ICOs involve participants contributing a well-known cryptocurrency such as Bitcoin or Ether in exchange for “utility tokens”. These tokens are essentially digital assets which may be transacted through decentralised blockchain technology – similar to the way Bitcoin is transacted – and they may be tradable on a variety of online exchanges. Unlike traditional shares, utility tokens do not entitle their holders to participate in the profits of the business or have a measure of say in how the business is managed. Instead, the token is intended to represent a unit of exchange for goods or services in the underlying business. The economics of the token (aptly termed “tokenomics”) differ from project to project, but the basic pitch to contributors is that, absent the token representing a unit of ownership as with traditional shares, demand for goods or services in the underlying business will drive demand for the token, thus causing its price to appreciate. Until 2017, ICOs were a rare occurrence and in comparison to today’s landscape, failed to attract significant capital. To illustrate, Ethereum, today the second largest cryptocurrency at around a USD 100 billion market cap, raised around USD 18 million during its ICO in 2015. These days it is not unusual for a far less notable ICO to attract twice this amount in only a few days from launch and so many new ICOs are entering the market daily that tracking their number is a difficult task. One of the more obvious reasons for the popularity of ICOs relates to ease of raising capital. ICOs are run in a relatively frictionless ecosystem compared with traditional capital raising methods. Anyone with a concept, a website and a little bit of marketing can launch an ICO and have it funded globally through payments in cryptocurrency with little to no oversight or involvement from banks and regulators. In some cases ICOs will bar participants from China and South Korea (where there are outright bans on ICOs), and USA, where there have been strong indications from the US Securities and Exchange Commission that ICOs may constitute securities offerings. 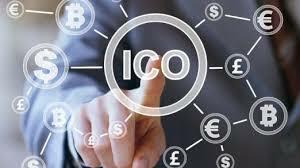 Outside of these exceptions, participants from any country can contribute, the general global consensus being that ICOs are not securities offerings and therefore not subject to the level of scrutiny and regulation governing IPOs; at least not yet. However, easy access to capital on its own is obviously not a legitimate reason for a business to launch an ICO. There must in addition be a sound business case for issuing utility tokens to contributors, instead of traditional shares; and while some ICO projects set out a compelling case for success, the lack of regulation and general hype around ICO participation has created a breeding ground for either outright scam projects or projects with genuine intentions but low prospects of success. Businesses must not make the assumption that because blockchain is the buzzword, it is appropriate to tokenise; and when big name brands inevitably launch their own ICOs, one hopes that they will lead by example and do so because there is a compelling use case for their token and not just a desperate money grab from what is sure to be a plethora of willing contributors. Globally, the success of ICOs – and perhaps more notably their failures – has not escaped government attention and there is little doubt that regulation of ICOs will be a strong focus in 2018. On 6 February 2018, various US Senate Committees attended a hearing to discuss the fate of cryptocurrency regulation and, while the room was divided between those for and against cryptocurrencies, one could glean an overall impression from the hearing that suggests subtle optimism from the US government about this emerging market. Closer to home, there are a number of ICOs running in South Africa and although we are yet to see any dramatic movements from the South African government regarding ICO regulation, cryptocurrencies are very much on its radar. In a 13 February 2018 media statement, the South African Reserve Bank (SARB) announced its establishment of a Financial Technology (FinTech) Programme, to “strategically assess the emergence of FinTech in a structured and organised manner, and to consider its regulatory implications”. Interestingly, the statement suggests SARB’s potential endorsement of the distributed ledger technology (DLT) underpinning cryptocurrencies, with one of the stated aims of the FinTech Programme being to “experiment” with DLT in collaboration with the banking industry, to jointly assess DLT’s potential benefits and risks. The South African Revenue Service has also issued a statement that it will soon provide clarity on the tax implications of transacting in cryptocurrencies. In February, the Swiss Financial Market Supervisory Authority (FINMA) published guidelines for the regulation of Initial Coin Offerings (ICO), a move that many feel will encourage the development of similar regulations in the other countries. The Gibraltar Financial Services Commission also announced that in the coming weeks it will develop draft regulations. Healthy regulation is desperately needed in the space and, if sensible and pragmatic, it should protect all stakeholders while having minimal adverse impact on the benefits ICOs bring to legitimate projects that need funding.